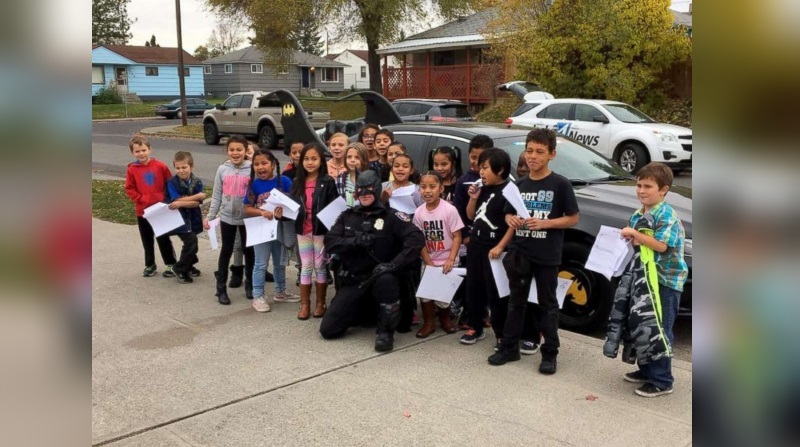 SPOKANE, WA - A policeman surprised students at an elementary school when he showed up dressed as Batman, complete with a cop car disguised as the Batmobile. Officer Scott Hice with the Spokane Police Department spent all weekend decorating his patrol car with his dad. He even cut out Batman logos to make it look realistic for the children. Hice surprised 6th-graders at Whitman Elementary who graduated from a gang-resistance education program on Halloween. When the other grades heard the news that Batman was outside, they all ran out to give him high-fives and hugs. "That’s the best part. The kids get so excited," Hice told ABC News of his clever transformation. "It’s not just the little kids, but that’s my favorite. They get the most excited. They really think I’m Batman and ask me if the Batmobile flies. But the junior high kids love it too and want to look out the bars like they’re getting arrested." He added, "It’s timeless. 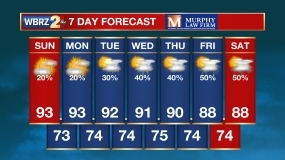 I had old people coming up excited about it. It’s a lot of fun because every generation can connect to that." 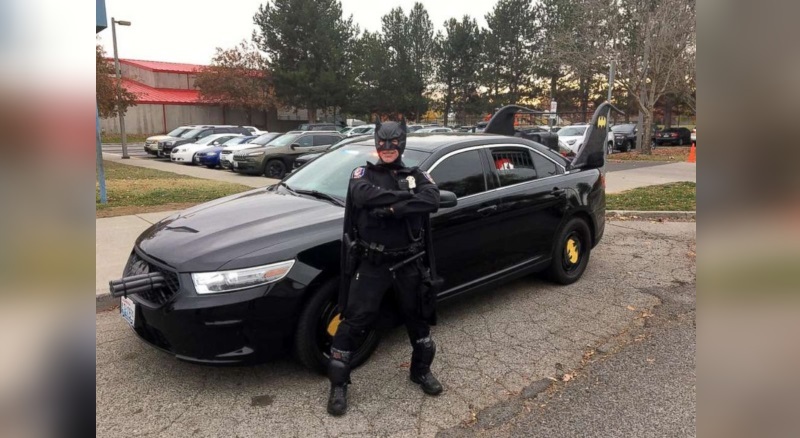 It certainly was a clever treat for the students to get a Gotham City surprise from their hometown superhero.